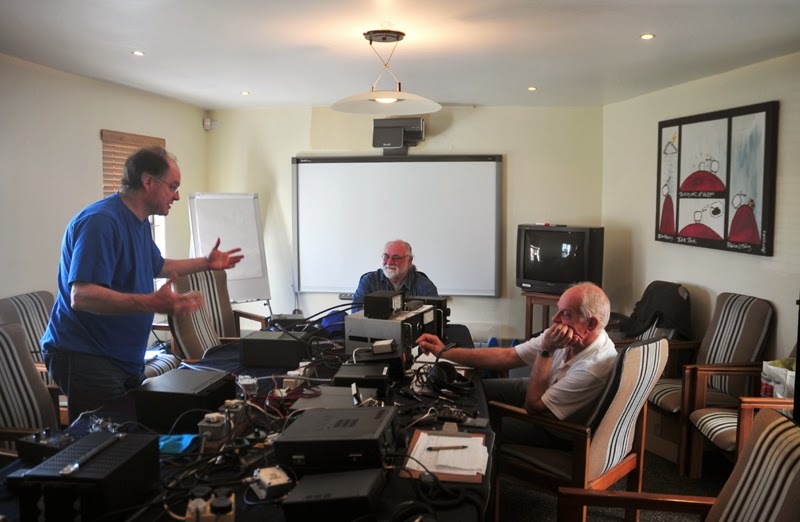 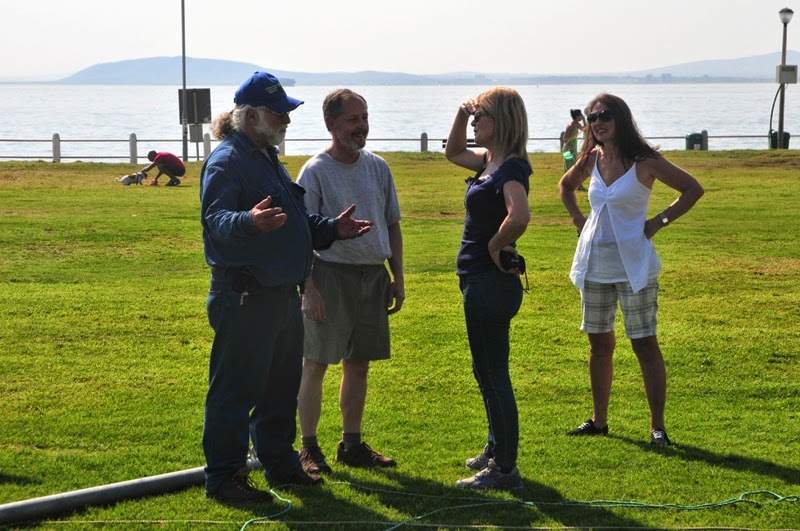 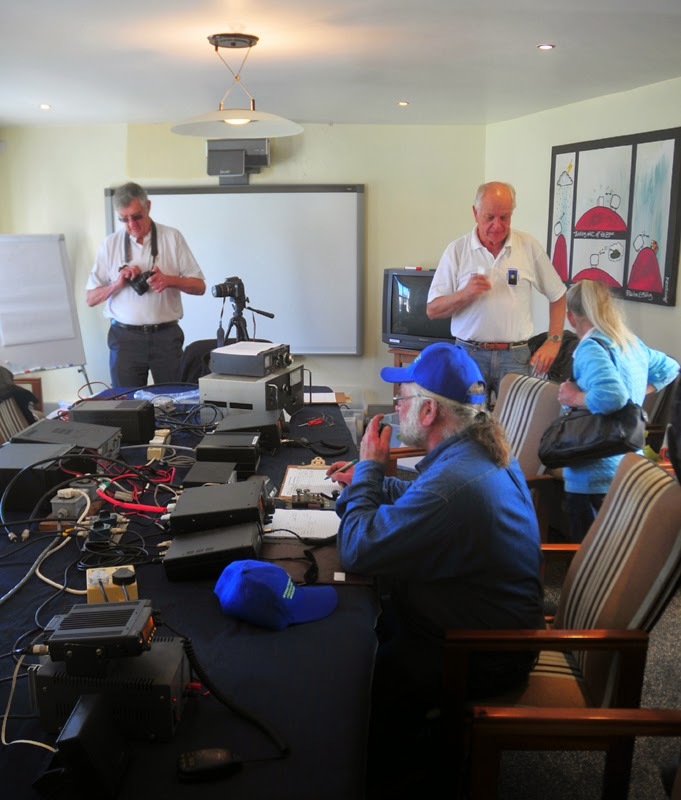 The CTARC field station for the International Lighthouse / Lightship Weekend was a great success. 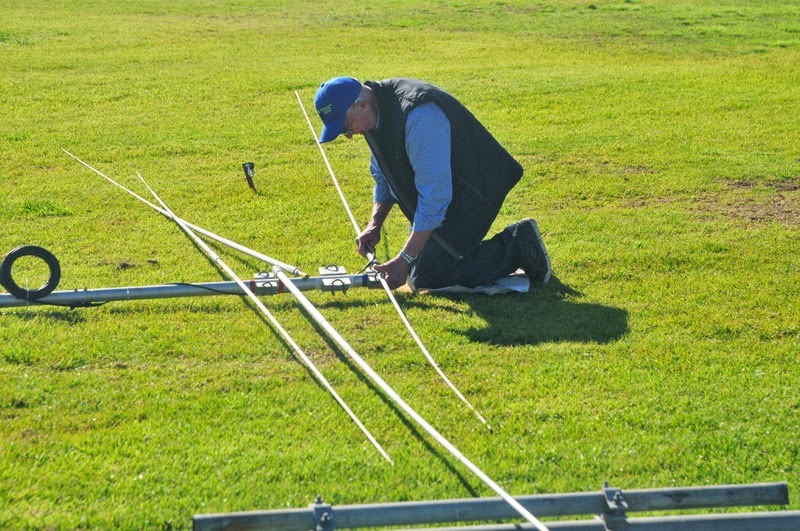 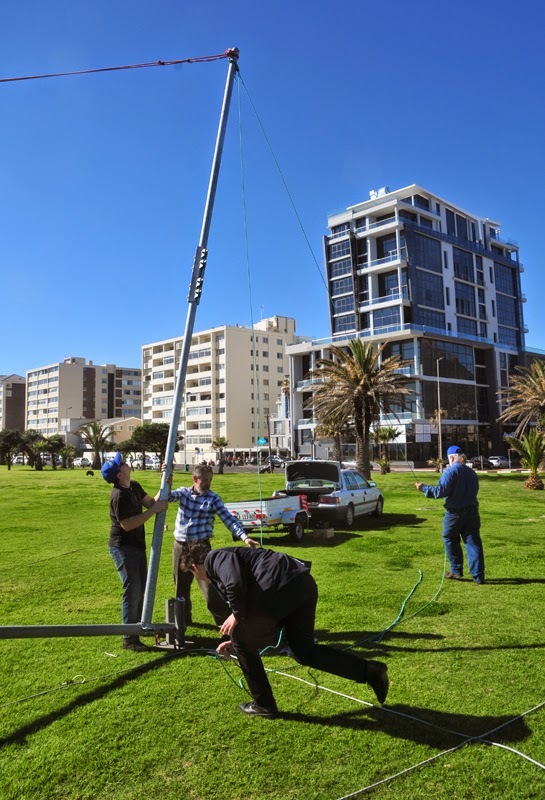 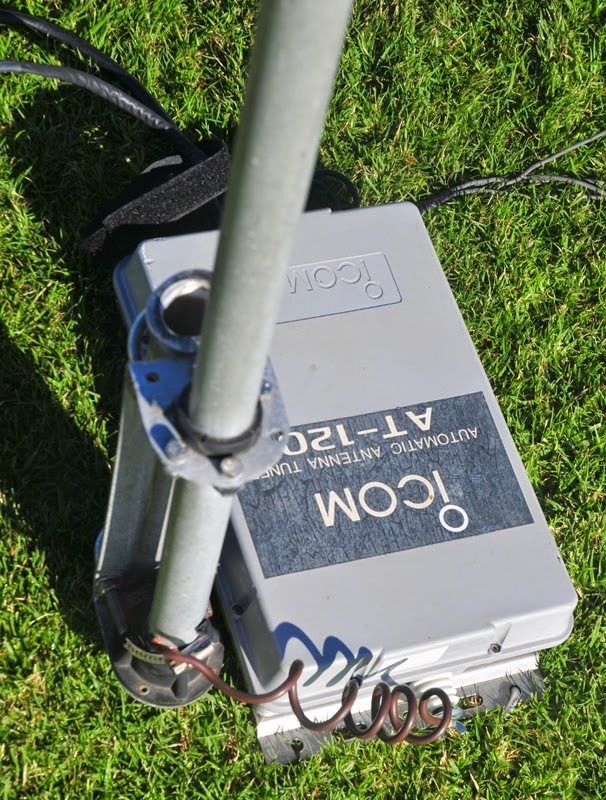 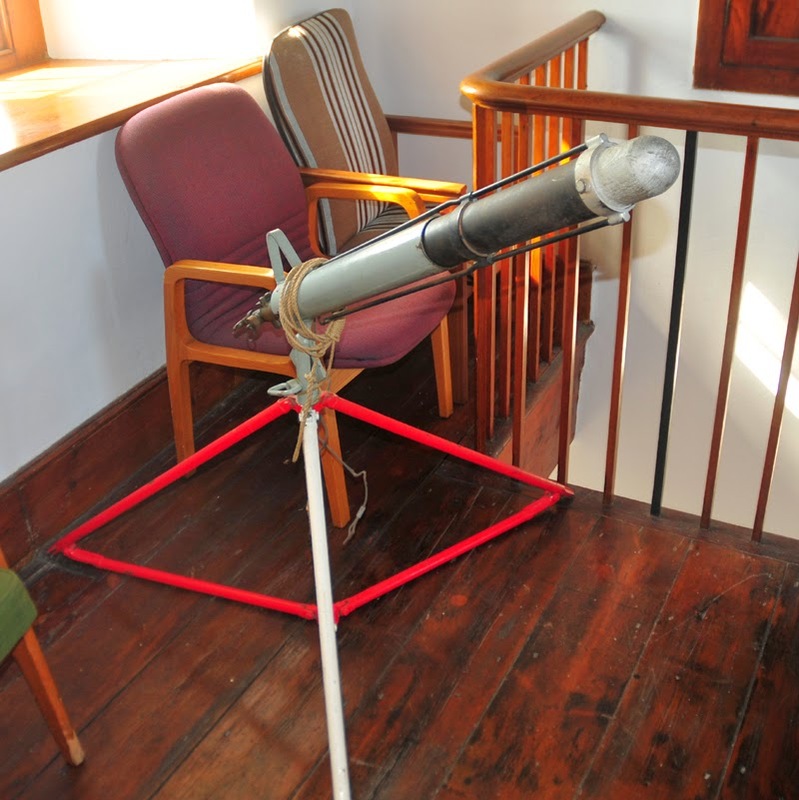 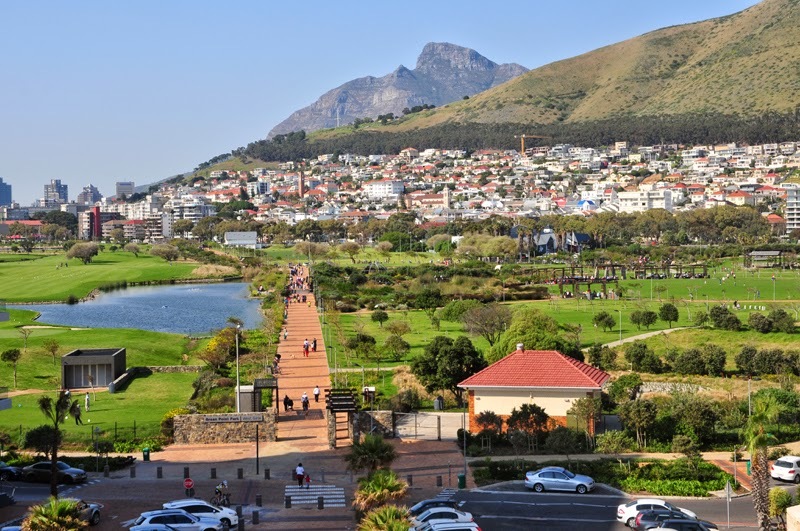 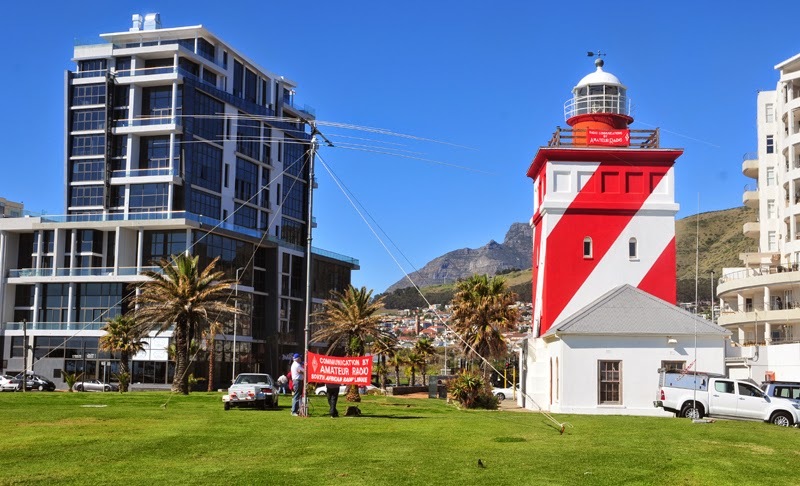 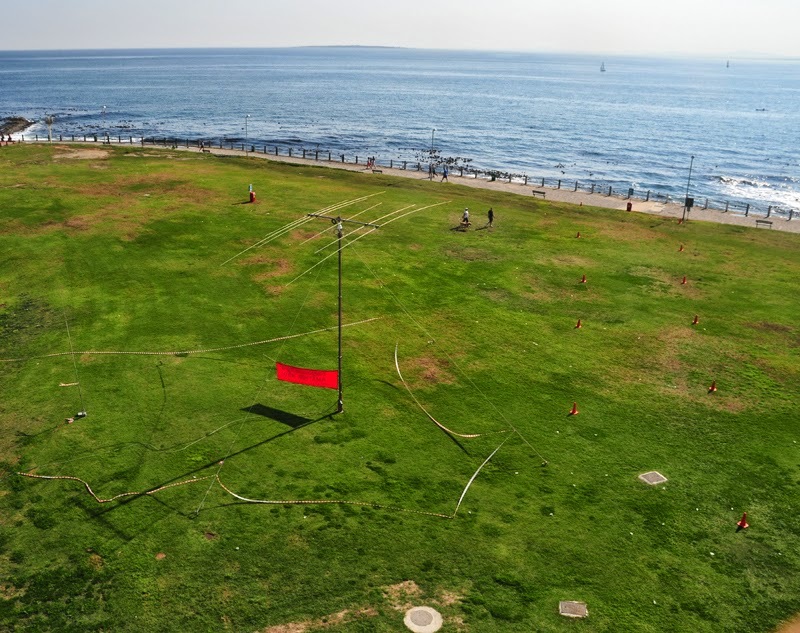 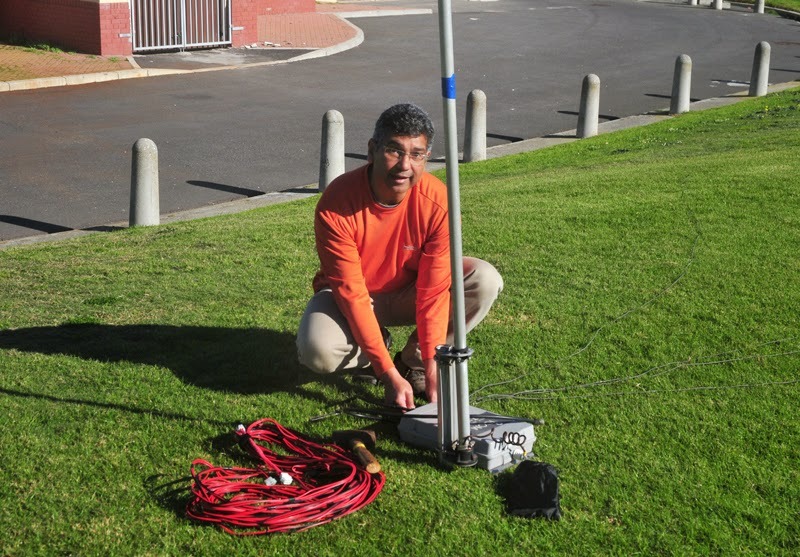 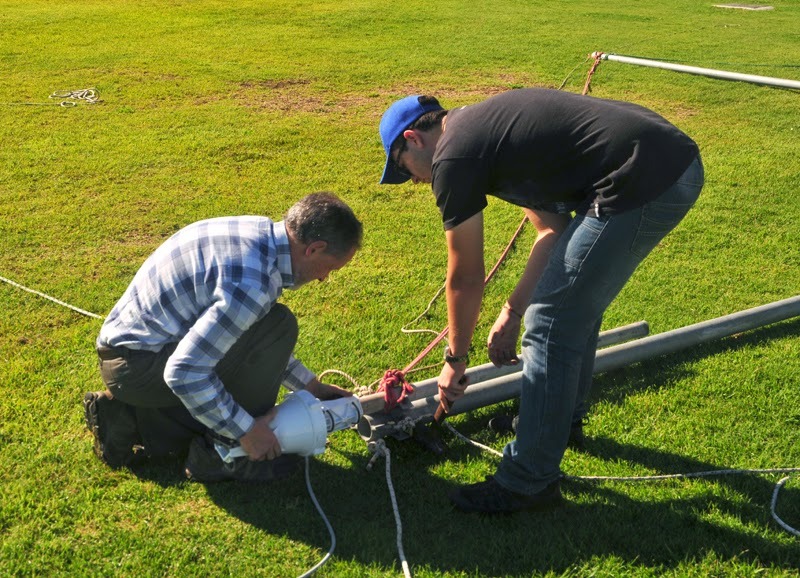 On the morning of Saturday 16 August, members collected the beam antenna and gin pole from the clubhouse in Rondebosch and gathered at Green Point Lighthouse to assemble the station. 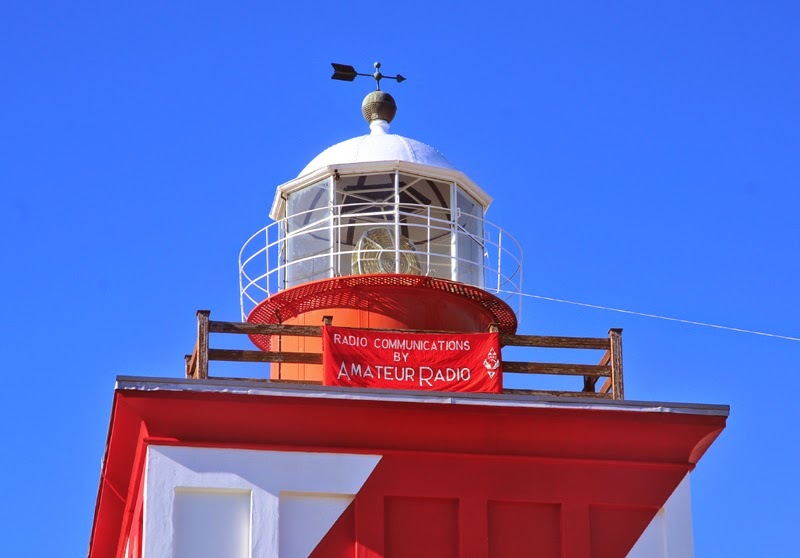 The antennas went up, the station operated by various members throughout the 24-hour period. 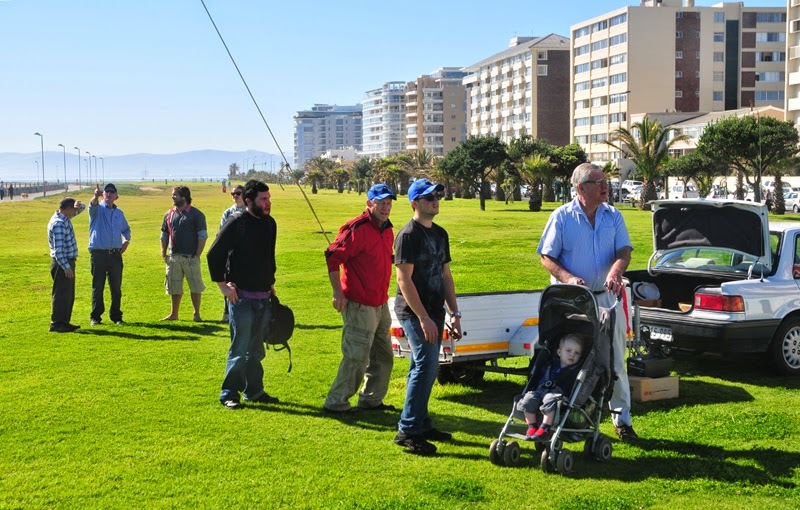 A convivial braai was held on the Saturday evening. 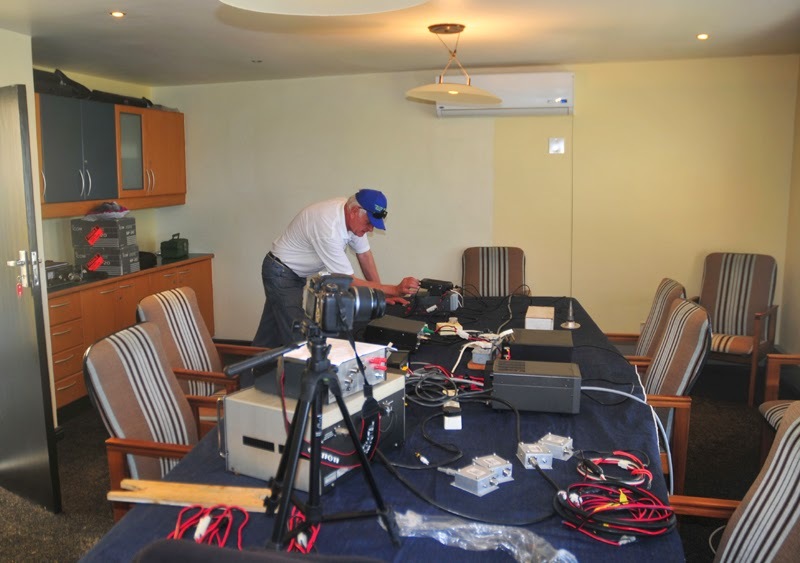 At 12h00 on Sunday the station closed down and was dismantled by arond 16h00. 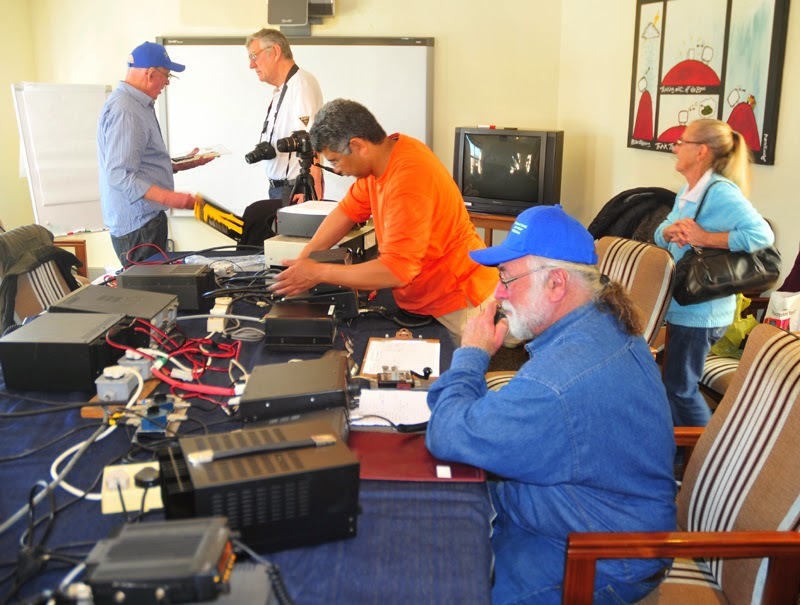 Thanks to all who participated to make the event one of this year's highlights. 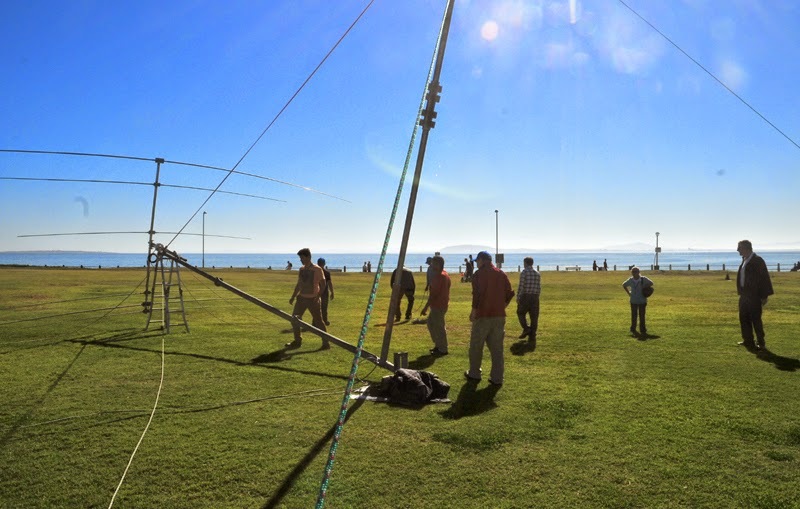 Photos of the event are in a new article [here]. 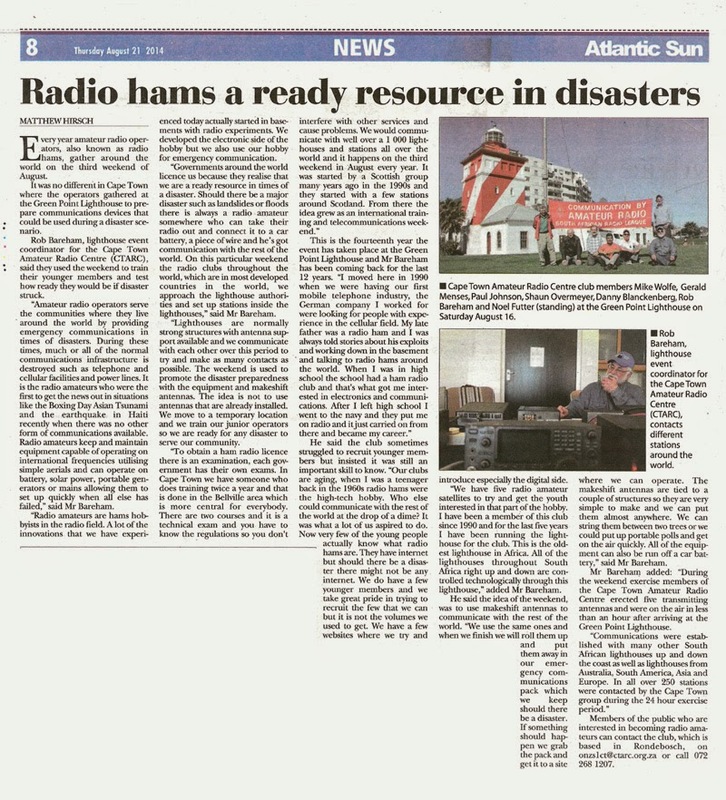 In the mean time, a PDF file of a relevant article that appeared in the Atlantic Sun community newspaper can be downloaded [here].